Opening in 2011, our laboratory has become a critical part of patient care. In 2018, the lab served nearly 21,800 patients – a 120% increase in patient lab visits from 2012. Today, our laboratory has 13 staff members. FAME has also recruited a long-term US volunteer, who partners with the lab manager to supplement the staff’s formal education with ongoing education and training. With a fully automated blood chemistry machine, our lab technicians can run critical chemistry profiles on patients. Our lab offers same day services for all lab work – a significant benefit for patients traveling long distances. radius with these diagnostic capabilities. FAME also has the necessary equipment to digitally capture images of patient blood smears and fine needle aspirations and transmit these to volunteer hematology/oncology consultants in the US for the preliminary diagnosis of leukemias and lymphomas. In 2014, with the introduction of surgery and labor and delivery services, the lab acquired a blood storage refrigerator. 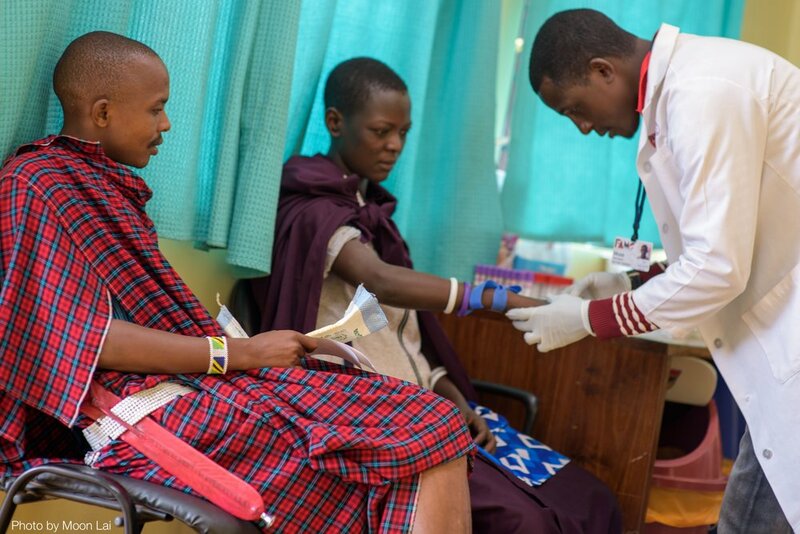 In accordance with government protocol, FAME collects blood and then exchanges it for safe (screened) blood at the Regional Blood Bank Center in Arusha. Thanks to FAME’s capacity to screen for seven of the eight government-required tests, our lab is allowed to collect, screen, cross-match and deliver blood on our campus in emergency situations. FAME, on average, transfuses one patient every other day. In 2016, we received an extraordinary gift from GE Healthcare: an X-ray machine, CT scanner, ultrasound machine, two anesthesia machines with monitors, and two ventilators. They added to this already jaw dropping gift a 220KVA generator and the electrical engineering expertise to help this program take flight. Following installation, we welcomed the first of several trainers from GE to orient our radiographer and doctors on the new equipment. The initial orientation focused on the CT machine, both its technical features and diagnostic capabilities. The training was intense and thorough, resulting in FAME’s very first CT scan being performed on August 22, 2016. Then, after a few technical hiccups and transport delays, we were also able to roll out our long-awaited X-ray services. On October 26, 2016, we performed our very first X-ray on a little boy with an injured arm and elbow. He had fallen at school and was subsequently referred to us by our friends at Rift Valley Children’s Village. In 2017, FAME had a system installed to store, organize, and transmit X-rays and CTs digitally, making them accessible throughout the hospital and abroad. Fortunately, we have individual radiologists in the US who embrace our mission and are graciously reading and interpreting digital images for us. Today, we are performing about 5-10 X-rays per day and 2-5 CT scans per day. The main reason patients are taken to radiology is for probable TB, sever cough, chronic pain, difficulty breathing, fall related injuries, or injuries from motor accidents.